The famous Shri Sadguru Sainath Krupa Matt, at Swargate Pune, was built in 1954 by Naryan alias Bhau Sahib D. Lombar. This Leela is how Baba ordered and guided him to build this wish fulfilling temple there. Bhau Sahib was born in 1907 in Nipani near Kholapur; his parents were devoted to Lord Dattreya and goddess Tulja Bhavani. Thus Bhau Sahib grew up in a very spiritual atmosphere and he chose the path of devotion from a very young age. In 1920 when he was just 13 years old he visited Shirdi and on that very visit he had a vision of Baba in the Dwarka Mai. From then till the day he passed away i.e. on Lakshmi puja day of 1978 he visited Shirdi regularly. 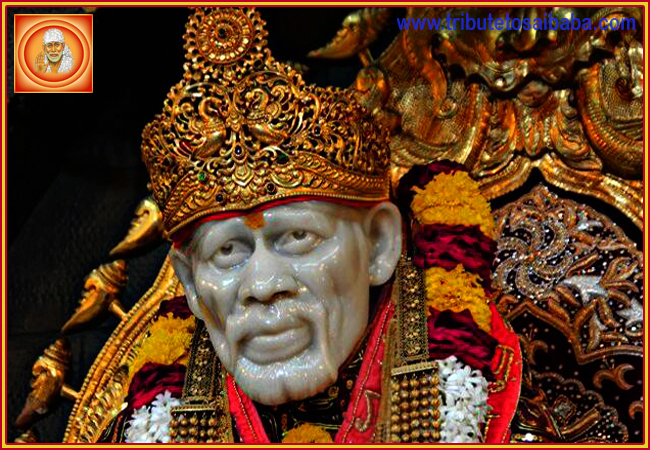 He was a Jeweler by profession which he gave up happily so that he could devote his entire time and energy towards Baba. As his faith grew the intense desire to build a temple took hold of him. He spent 10 days fasting, meditating and praying for guidance from Baba at Arenashwar temple. On the 10th day Baba appeared before him and said, “Why are you sitting here? Return to Pune and at that spot where you feet cannot move any further build my temple” He faithfully followed Baba’s orders. Then sat under a tree near that site and mentally saw a temple there. He bought that land and camped in a tent there. The moment he hung a picture of Baba in that tent, the entire tent was filled with an aroma that is associated with Baba. The temple was completed in 1955 and Das Ganu performed the ritualistic ceremony of establishing Baba’s padukas there. In 1956 an idol made of 5 metals and 4 ½ feet tall was established in the temple. Directly below the sanctum sanctorum there is a room in the basement about 10 ft by 10 ft where casket of the saint is preserved. There are numerous smaller temples around the main Baba temple; there is also a beautiful Museum where the rare photographs are preserved. Numerous devotees visit the temple regularly, as they strongly believe that there wishes are always granted there. Baba makes his devotee an instrument to complete his work in a unique way. Ref Shri Sai Sagar Magazine Deepavali issue 2007.